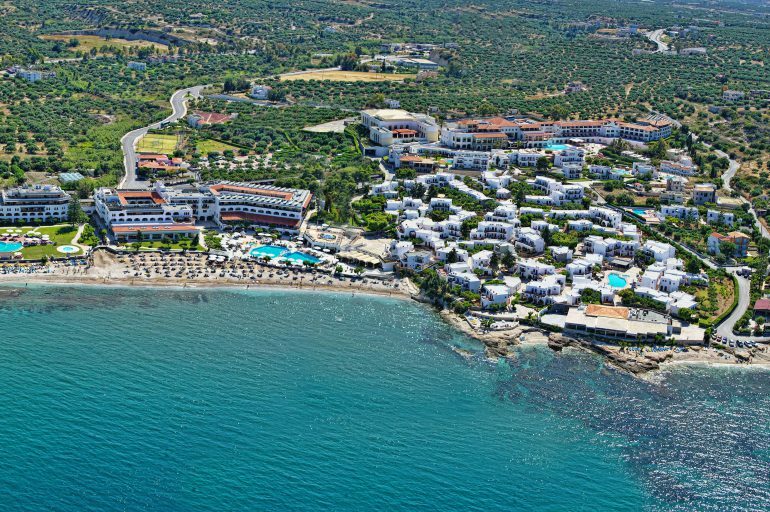 The main reasons to visit Hersonissos relate to the magic of the Cretan Sea, and Creta Maris Beach Resort is fortunate to enjoy such a privileged location. Poseidon blessed Hersonissos with all the must-haves for an ideal Cretan destination: entrancing sun-kissed beaches, lively tavernas by the sea, fantastic food choices, and plenty to explore. Visit Hersonissos, or call it Chersonisos or Hersónisos if you must, but embrace the experience because this is a youthful gem on the northern coast of the island. Hersonissos is where the Mediterranean Sea and the Aegean Sea find each other in an eternal embrace. On land, the spirit of the Cretan philoxenia takes over, and every path you choose to explore will lead to places encompassed by tradition and, yet, anchored in the present and ready to welcome you with open arms. The Port of Hersonissos, as the town itself, was once the center of Roman Crete. In fact, the modern structures overlooking the seas today stand over ancient Chersonesos, the Roman settlement that gives its name to the place. Remains of this settlement still halt in the town like testaments of the past, each a treasured monument on its own. You have a Roman fountain, remains of the ancient theater, ancient fish reservoirs, and sure, the Roman port. Don’t rush from one site to the other: stroll, and you will discover more than any travel guide can tell you about this Cretan destination when you visit Hersonissos. Hersonissos is also known as one of the most popular tourist resorts of Crete because it offers a lot of entertainment opportunities, including nightclubs and live music in taverns and beach bars where international DJs come to spin until dawn. 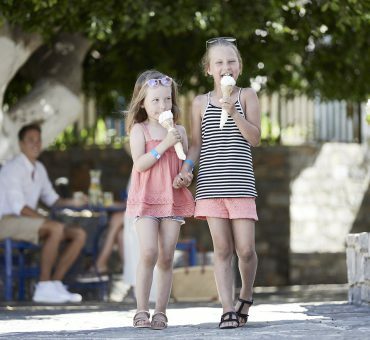 You can visit Hersonissos with children too: they’ll love the waterparks here and the sandy beaches. There are even an aquarium and reptile rescue center in the area, plus an open-air history and folklore museum and plenty more to experience and discover wherever you choose to stay. Take a day-trip to Dia Island and explore the kingdom of Poseidon too. Other favorite pastimes when you visit Hersonissos include fishing trips, diving, beach or countryside quad or Jeep safaris, all kinds of watersports, horseback riding, cycling, and the list goes on and on. So, tell us, what do you expect to see and do when you visit Hersonissos?